I'v been extremely remiss about posting and vow to do some catching up. 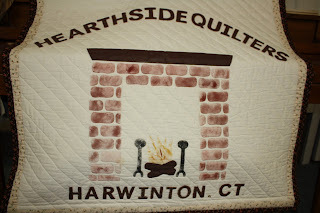 My last guild meeting had quilt artist Martha May of Quiltworks, East Hampton, MA. as a speaker. 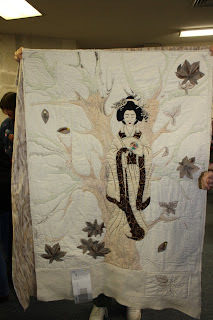 She gave a wonderful trunk show of her works. 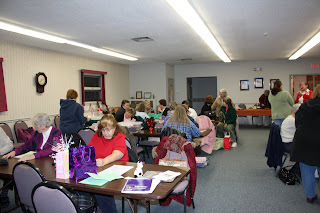 Our guild waiting to get started. 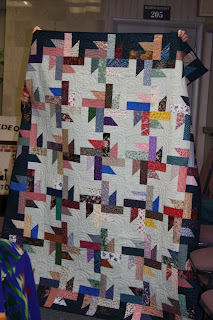 Meet Martha May and as she shows us one of her first quilts. Martha's Geisha Girl is really beautiful. I just love her funky chicken! 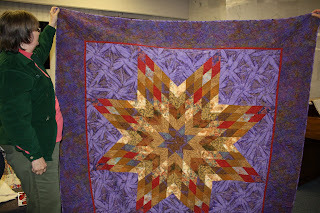 Martha's lonestar has beautiful threadwork. 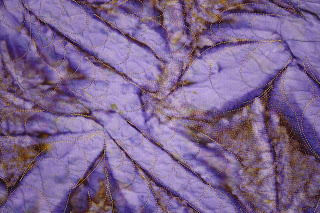 I tried toget a closeup of her threadwork . 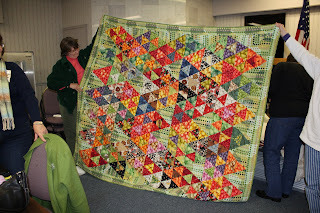 This quilt is made of all vegetable fabrics. 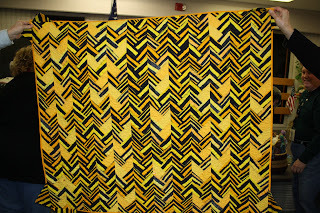 The wonderful zig zag quilt has an african feel to it. Opps! 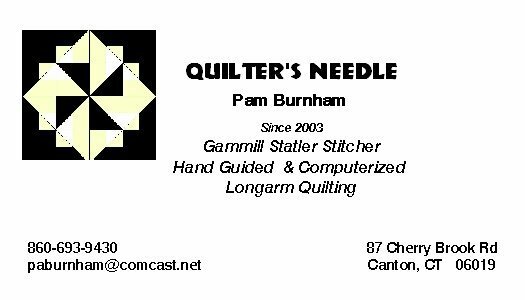 I'm a novice at this blogging. This red and white pinwheel was from our guilds show and tell. Saw blades made by a guild member. 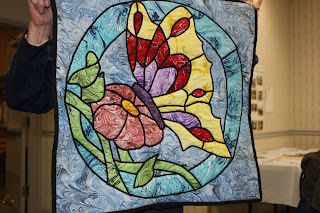 Stained Glass quilt made from a class the guild held several months ago. 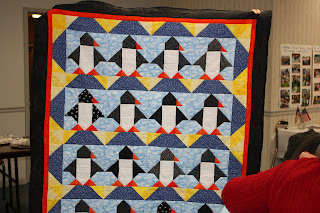 Isn't this penguin quilt wonderful. 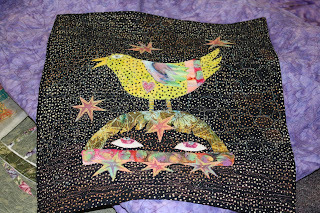 My friend Jackie's quilt that she made for her daughter's friend. 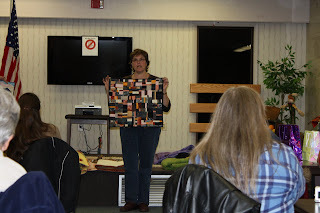 Another quilt by our over achiever Jackie, she is explaining how she used fringe for her binding. It is always inspiring to see what other have created. YAY! You posted your second post!! Even though it took a long time, it will get easier, only 4 hours next time...LOL! And best of all there will be less cussing. 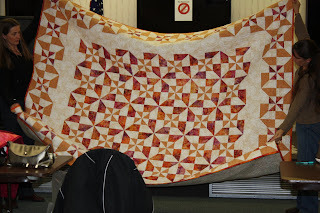 By the way, I am partial to those last two quilts! Tee hee! 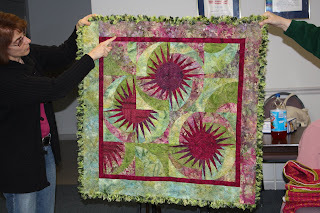 I do not have anything like "vegetable prints" and most likely wouldn't buy them as I do not like novelty prints - but I sure do like that quilt!